hutch studio: More on the Light Post. More on the Light Post. I had to add the very latest addition to the light of hutch. Hung it just this morning in fact. It is a pendant style light comprised of 33 paper houses made from vintage 50's cookbook pages. They hang with thread from a spiraling wire support. It sell for $200. and is an in store pick up item only. The shadows cast by the house on the surrounding walls are amazing. 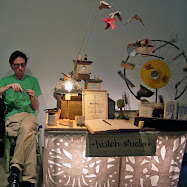 Last but not least is one of the really fun project kits at hutch. It is a night light that is made from repurposing a pint milk carton, paper paint sample cards, and old 35mm vacation slides. I call it "My Vacation Home Night Light", because when you go to bed at night you can turn this on and dream about getting away to that perfect vacation spot. Lovely thought isn't it. "Night light Take me away!" The templates and plans for building your vacation home sell for $10. Love it, have posted on my blog! and I just followed suit, this is AMAZING! I love your site. 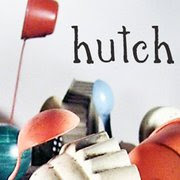 One of my favorite creations out of hutch studio to date. Got mine on order... Beautiful work Chris! Love the shadows & the photo is great! Its a great Blog. When you use LED grow light you haven’t any danger of temperature damage to your young seedlings, since LED lights radiate suprisingly low heat. Love your creative blog. I am a new follower. Love the house mobile. It is amazing. These look fab! I love the light they cast. Do you use any fire retardant on them? 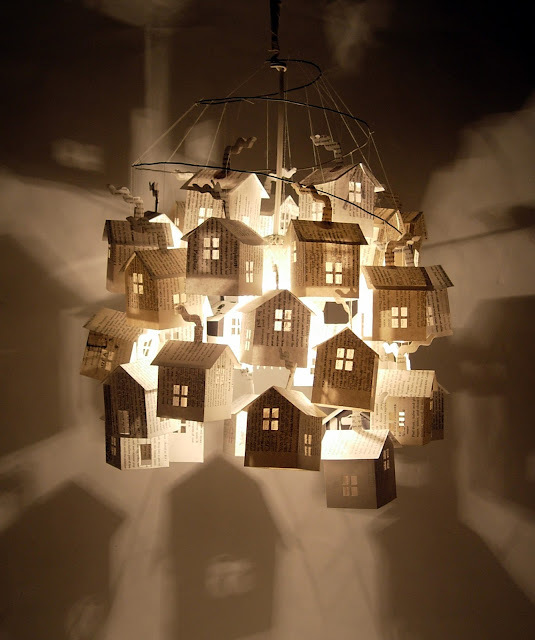 This is lovely twist on the chandelier. The lit windows of the houses create a beautifully lit village. Did you make the houses light? I am a realtor, and I would love to get one for my office! So cool! 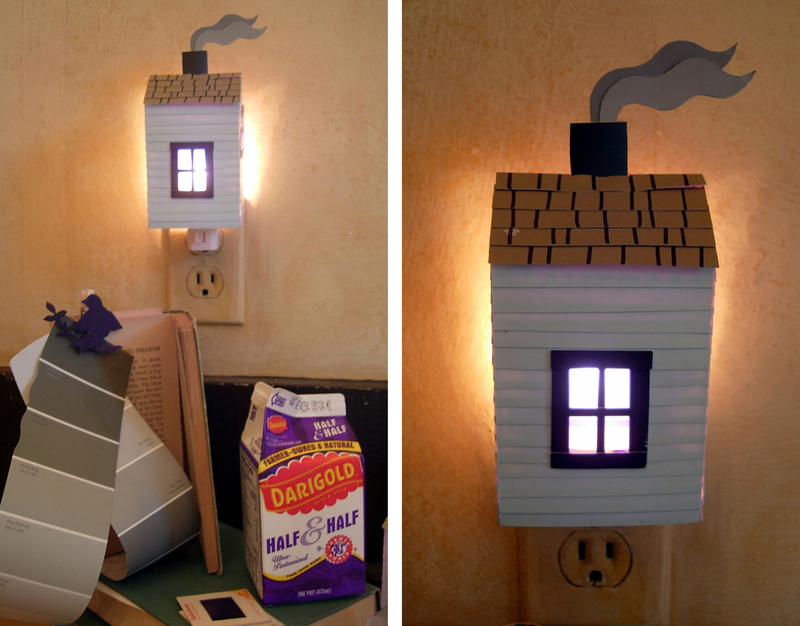 I just made some light houses albeit very different from these. Love.